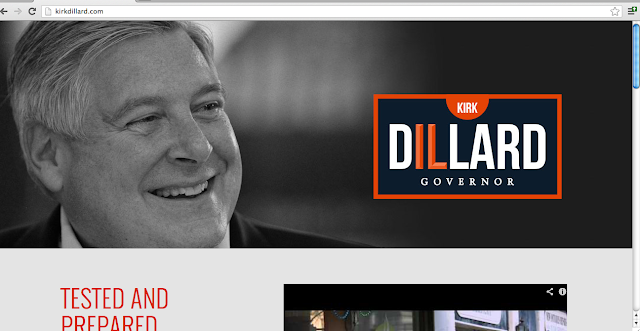 Kirk Dillard - candidate for Governor - picked up the endorsement of the DuPage County GOP. The Daily Herald covers the story, but misses a pretty significant piece: Dillard couldn't have survived without this endorsement. He's basically pinning his hopes on carrying the county in a big way. It *actually* might work. Without other DuPage candidates in the race, Dillard is hoping to carry the county with the most GOP votes cast by larger margins than last time around. State Sen. Kirk Dillard Tuesday won support of Republican township chairmen in his home of DuPage County, where the candidate for governor has pinned a lot of his primary election hopes. Brian Krajewski, vice chairman of the county central committee called a unanimous vote "obvious" in a statement. "Our township chairmen couldn't be more thrilled to support Kirk Dillard and Jil Tracy," Krajewski said. "They are by far the most qualified and prepared to lead our state."